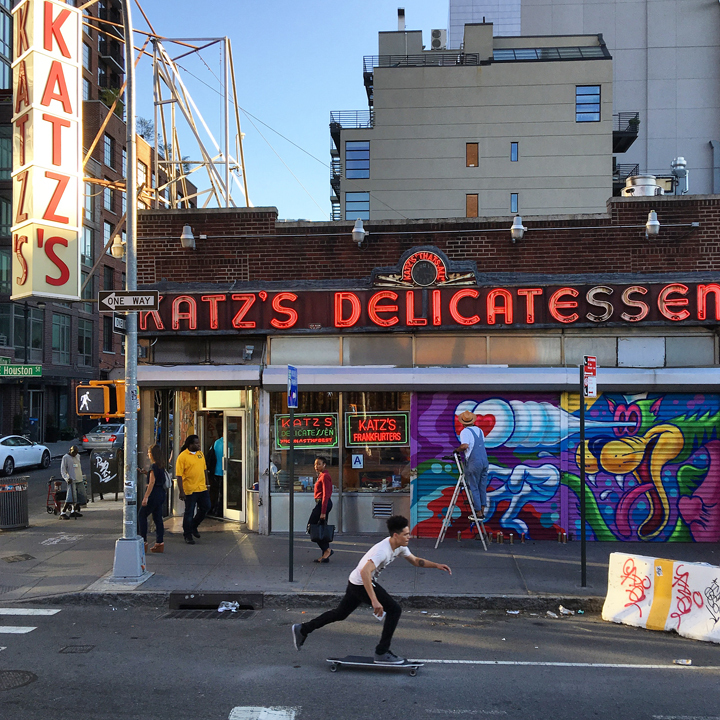 Lamour Supreme Completes 100th Gate at Katz’s Deli on the LES, and the 100 GATES Project Invites Us to Celebrate! 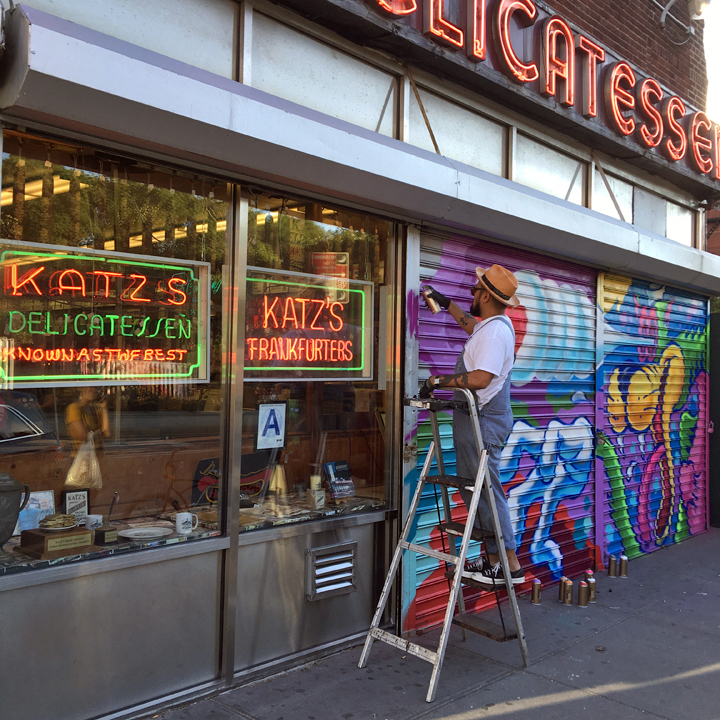 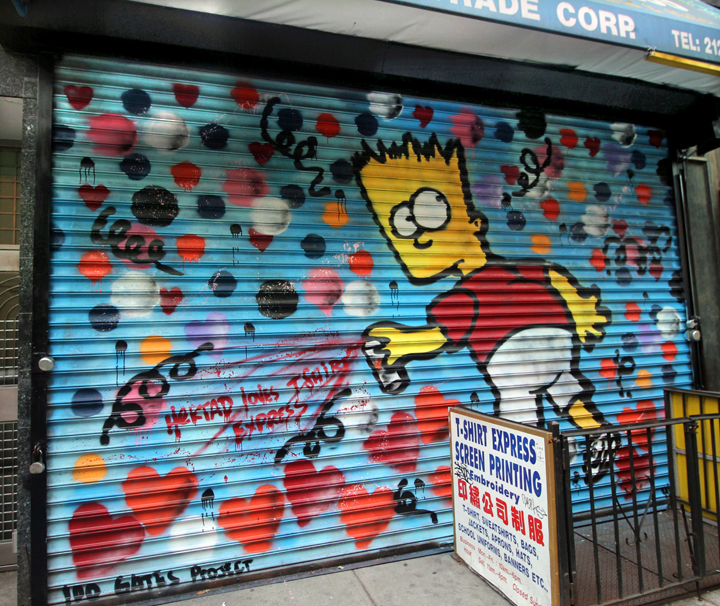 With Lamour Supreme’s completed shutter for the legendary Katz’s Deli, the 100 GATES Project has reached its goal of transforming 100 LES shutters into artworks. 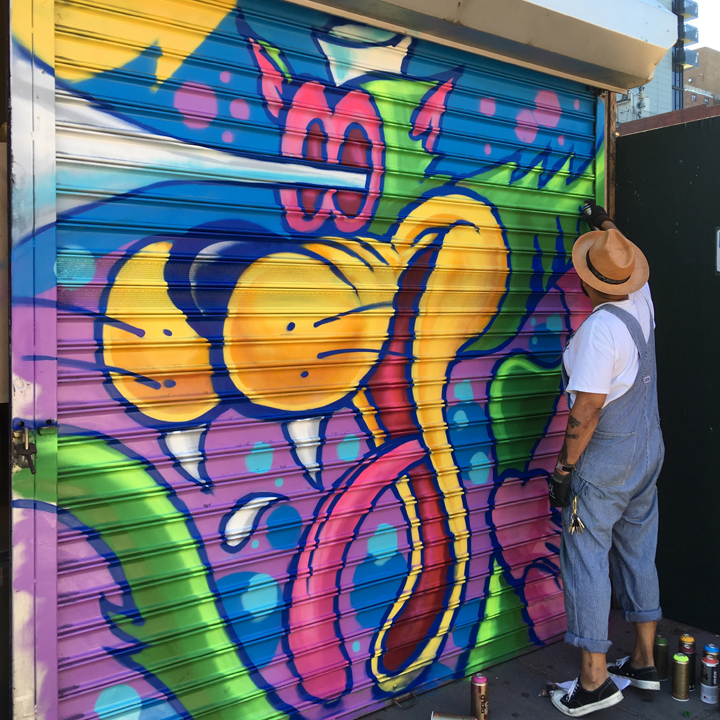 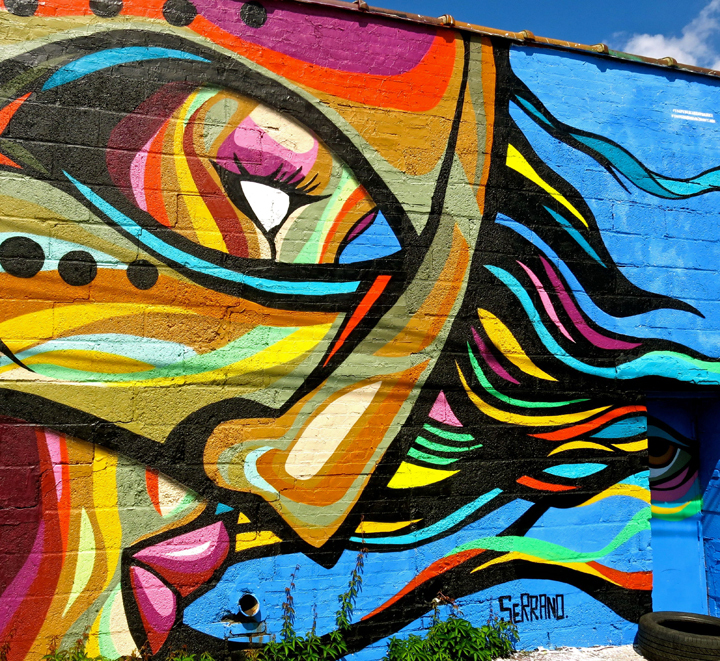 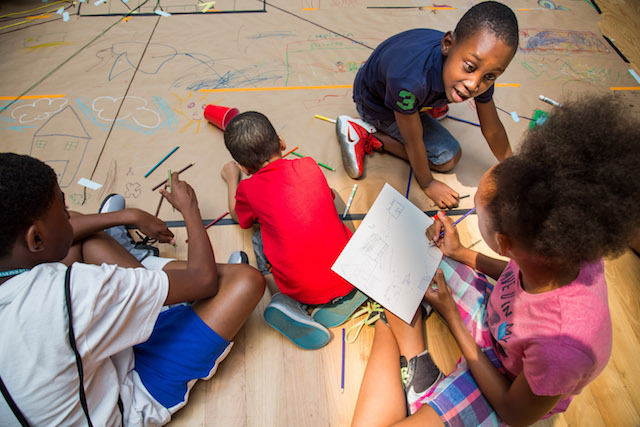 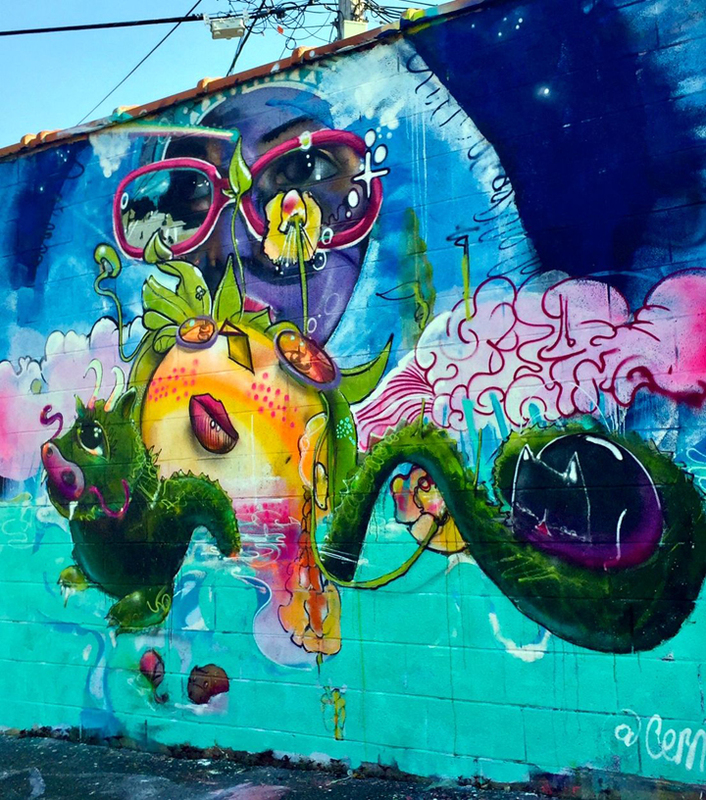 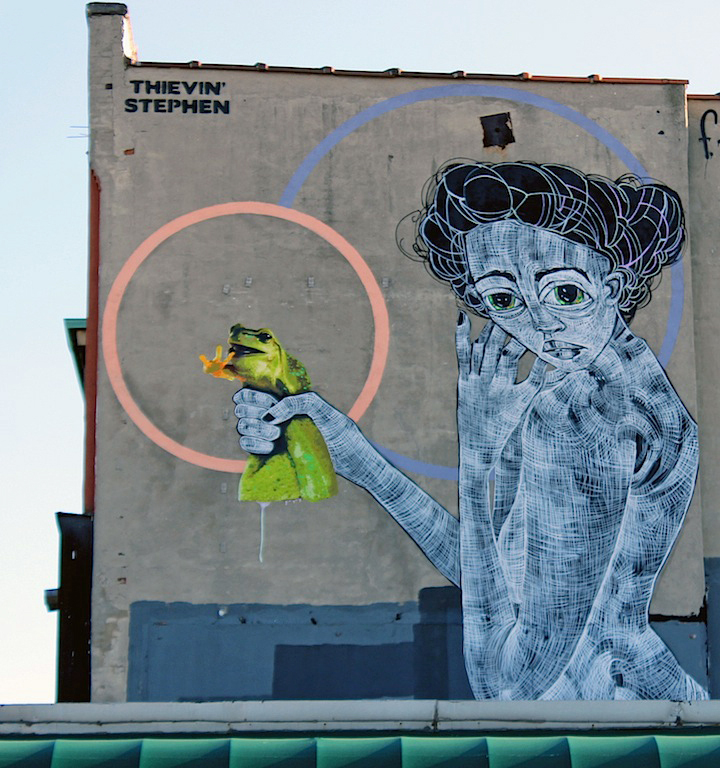 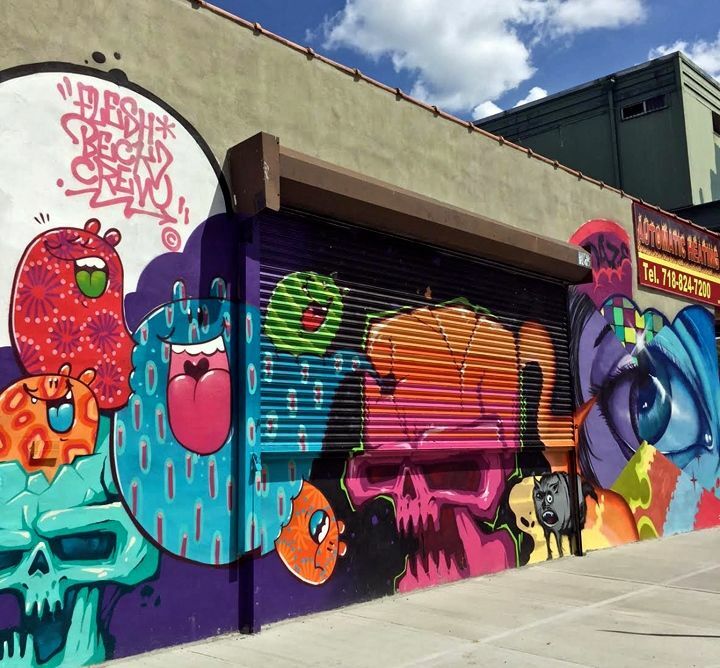 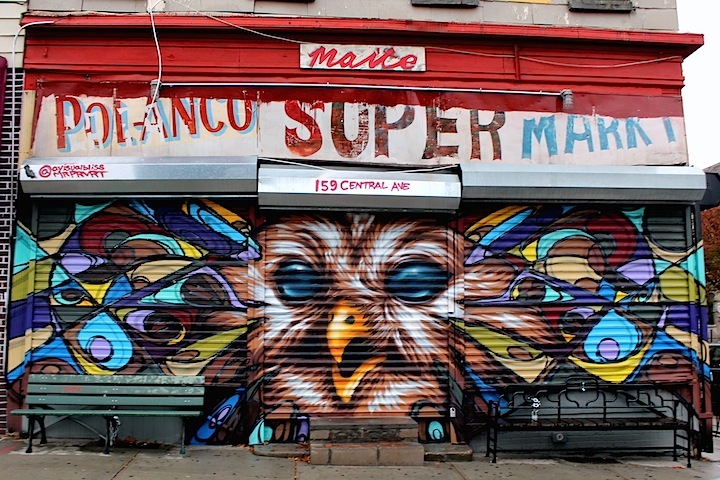 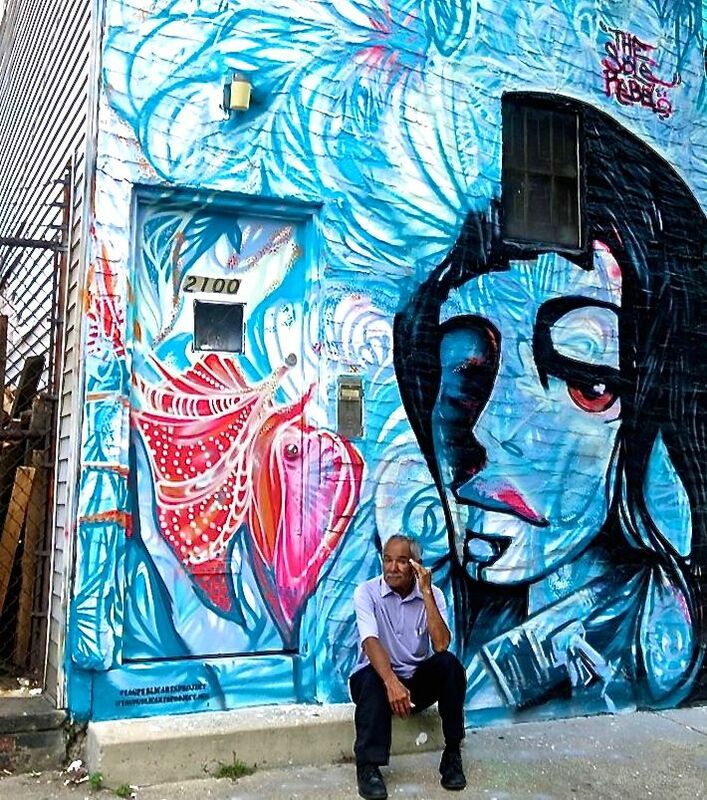 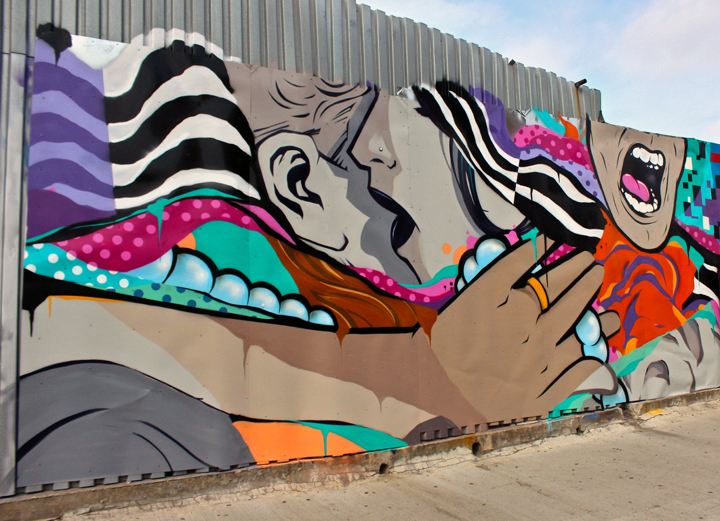 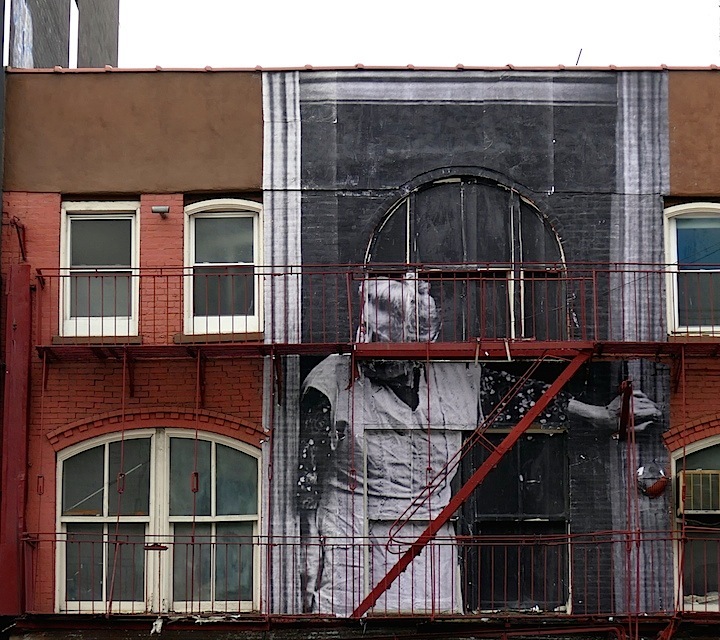 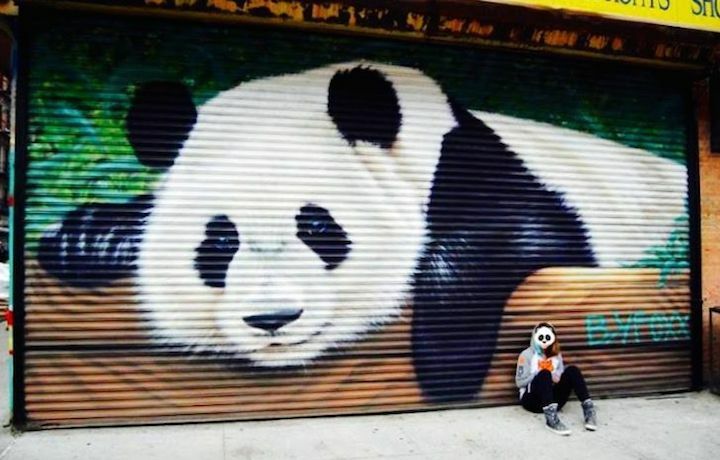 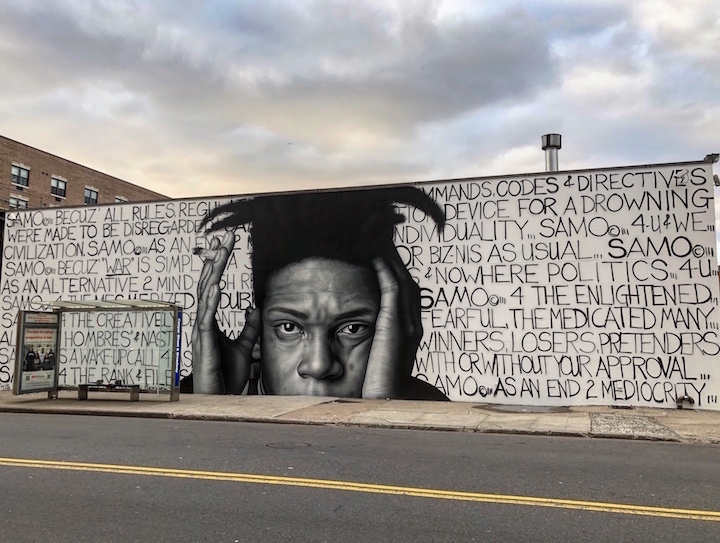 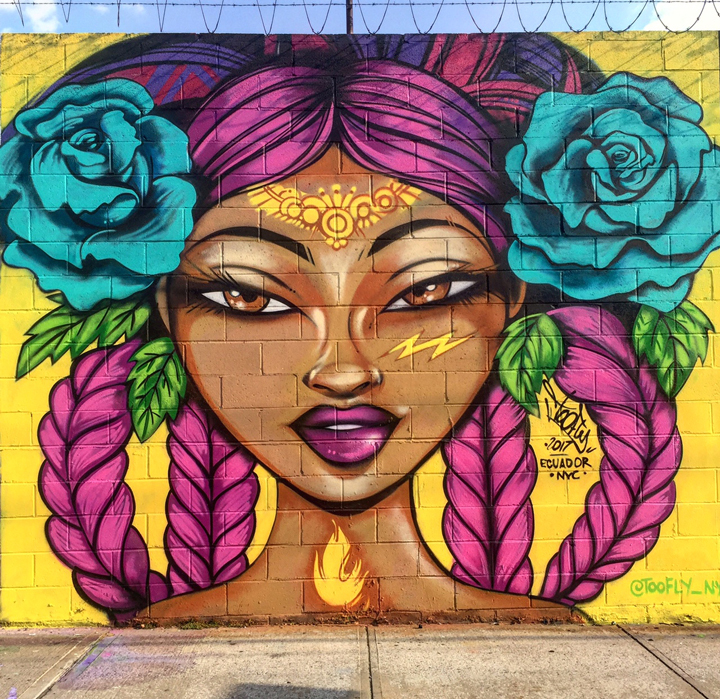 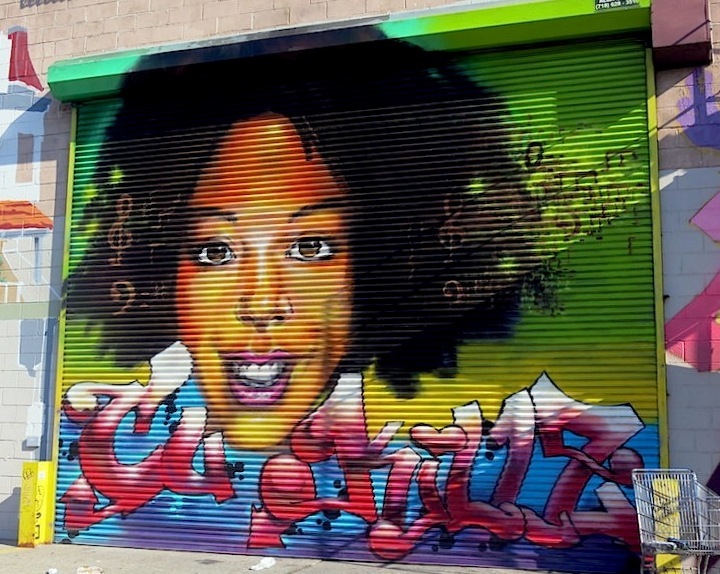 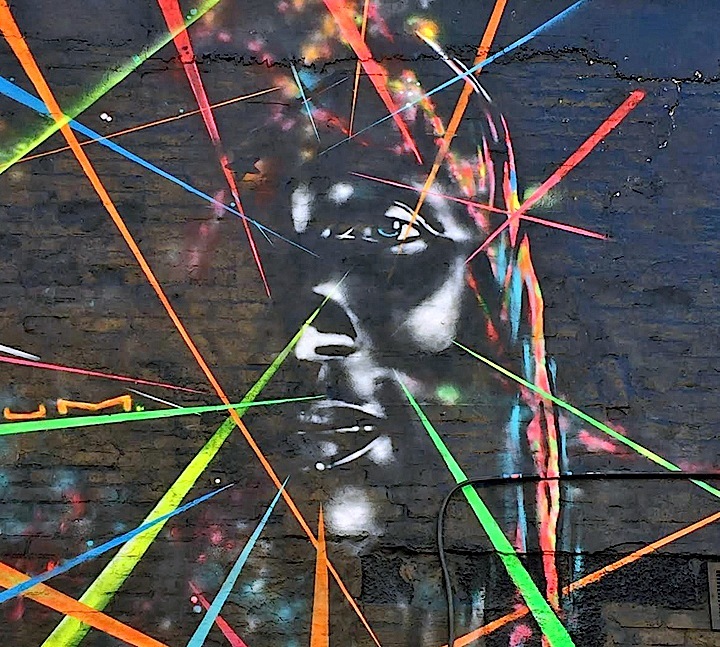 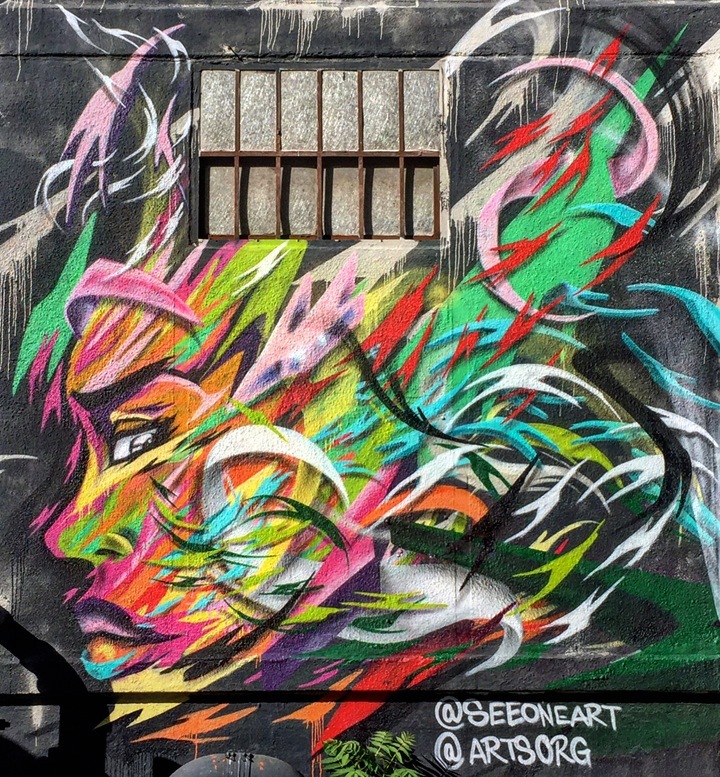 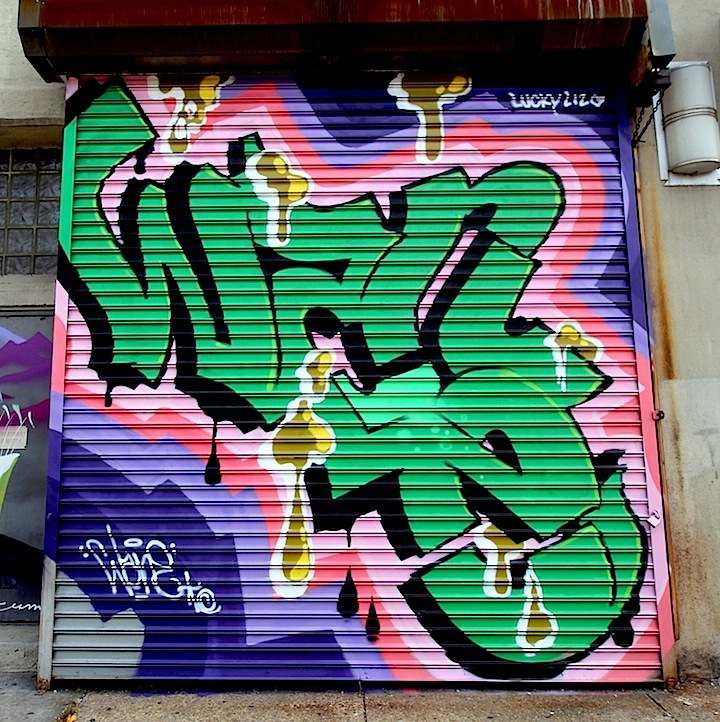 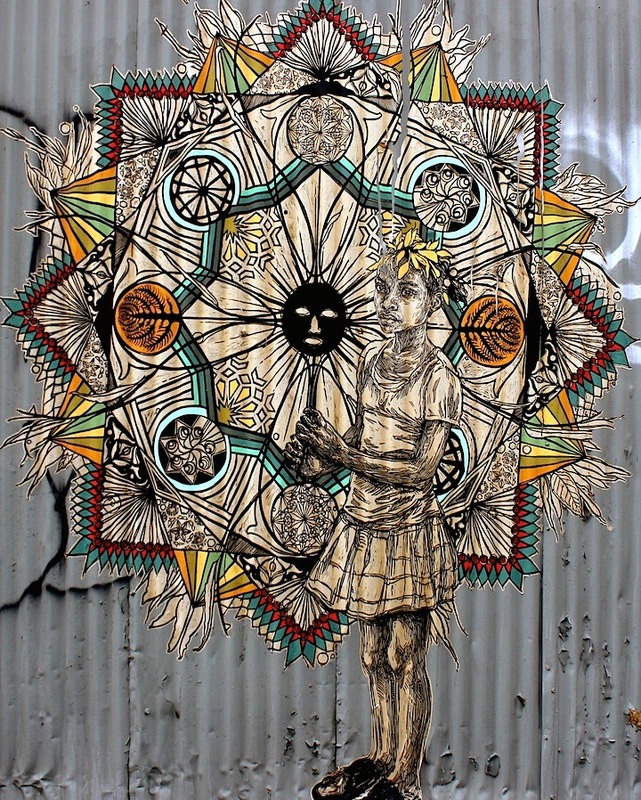 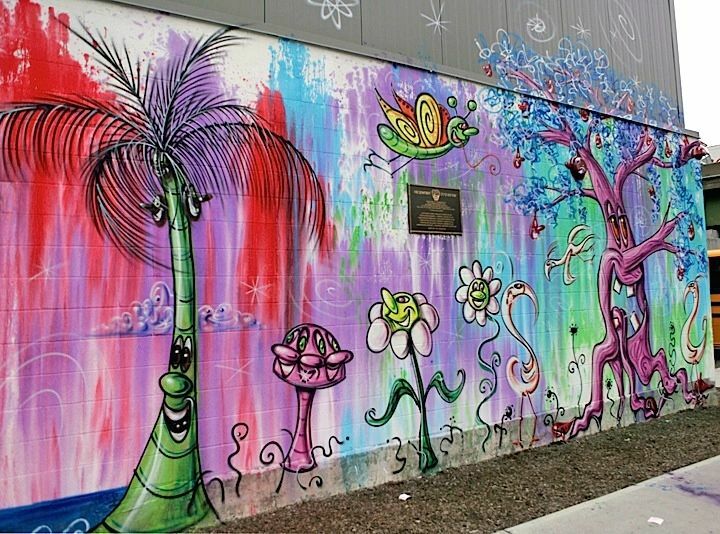 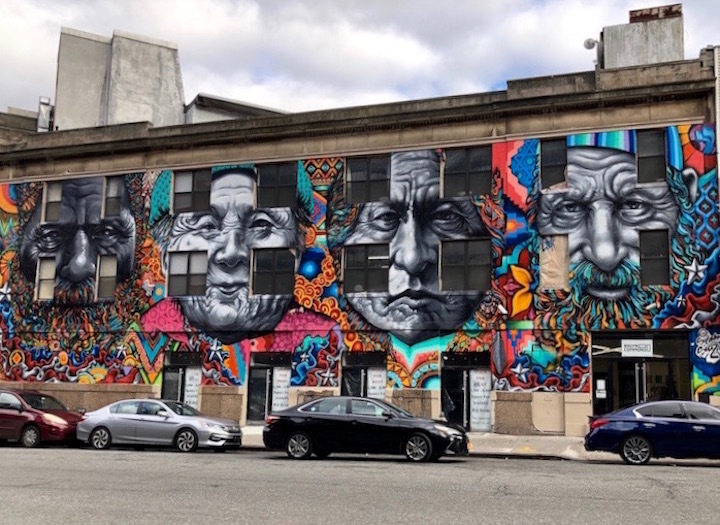 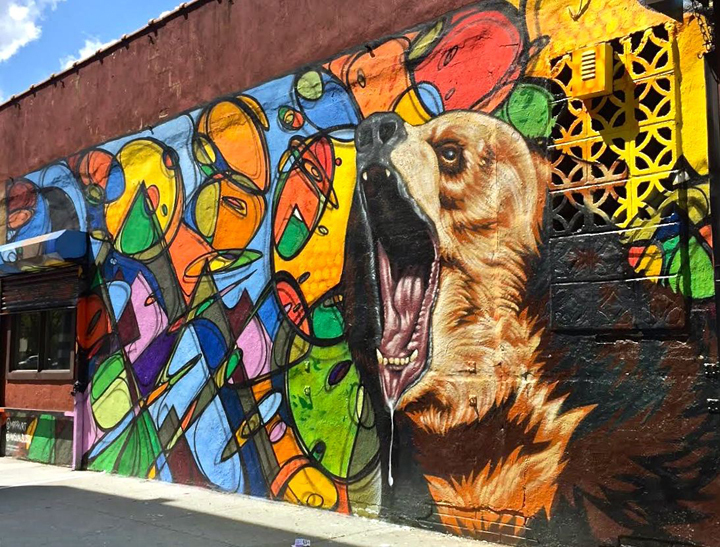 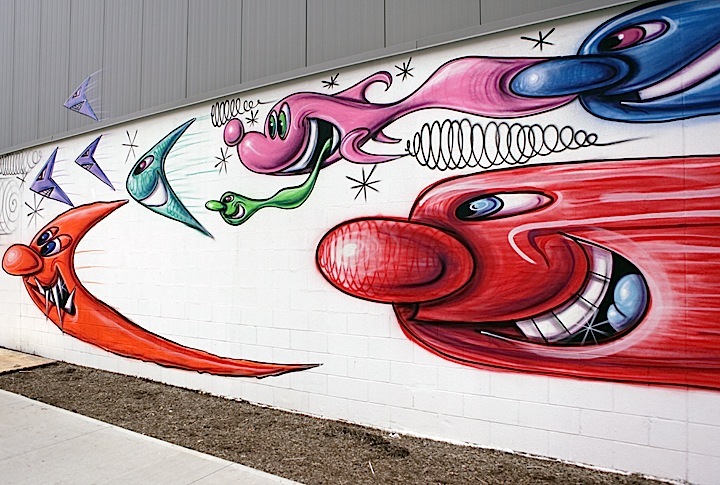 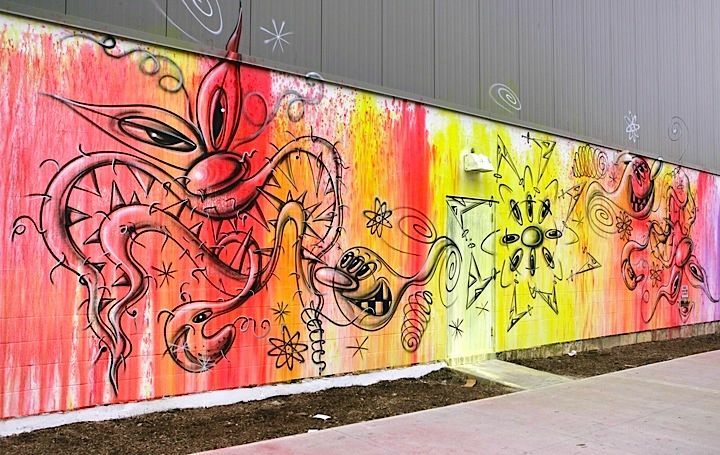 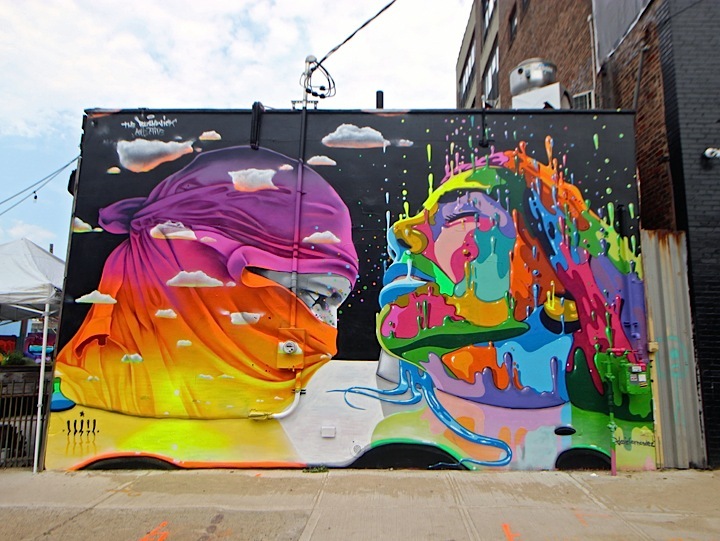 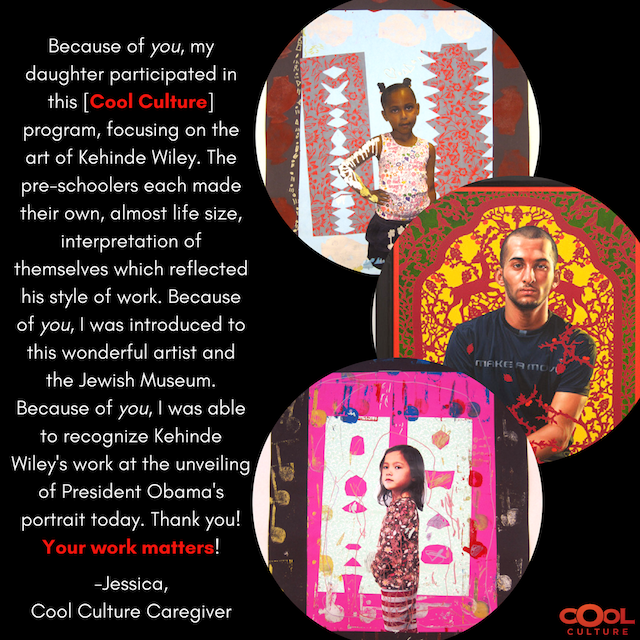 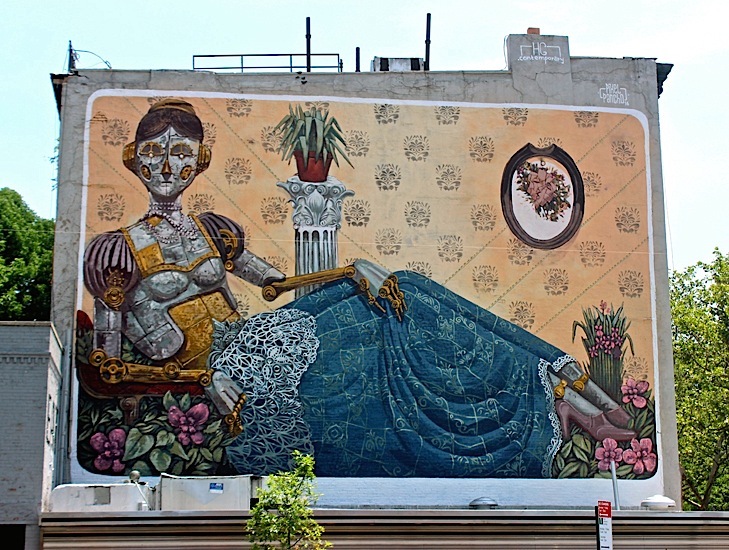 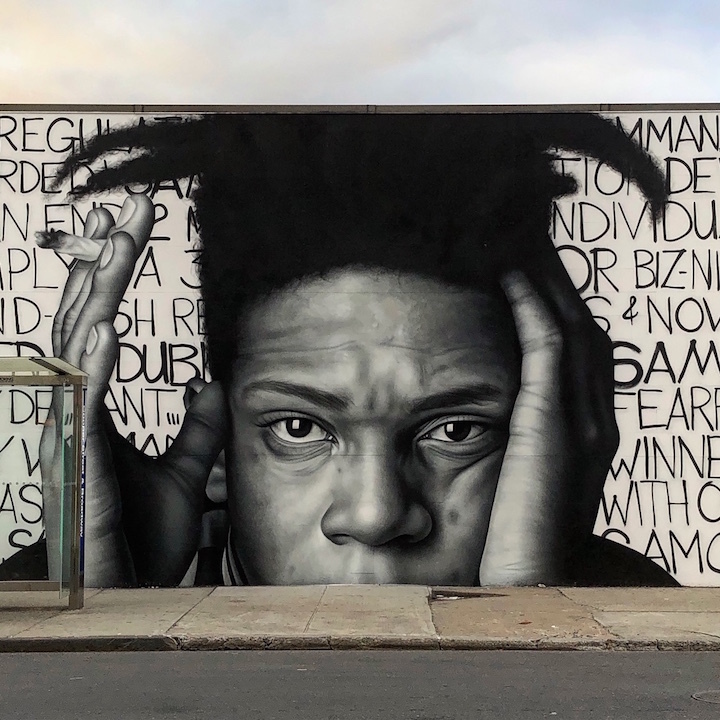 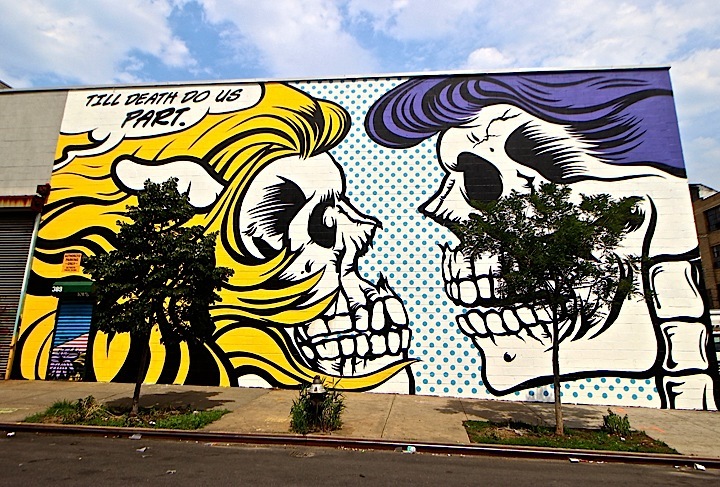 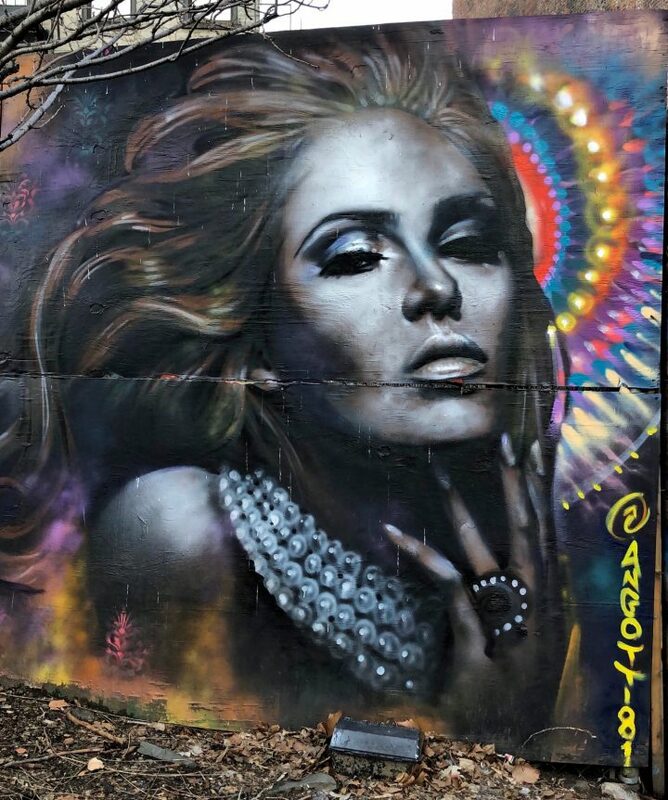 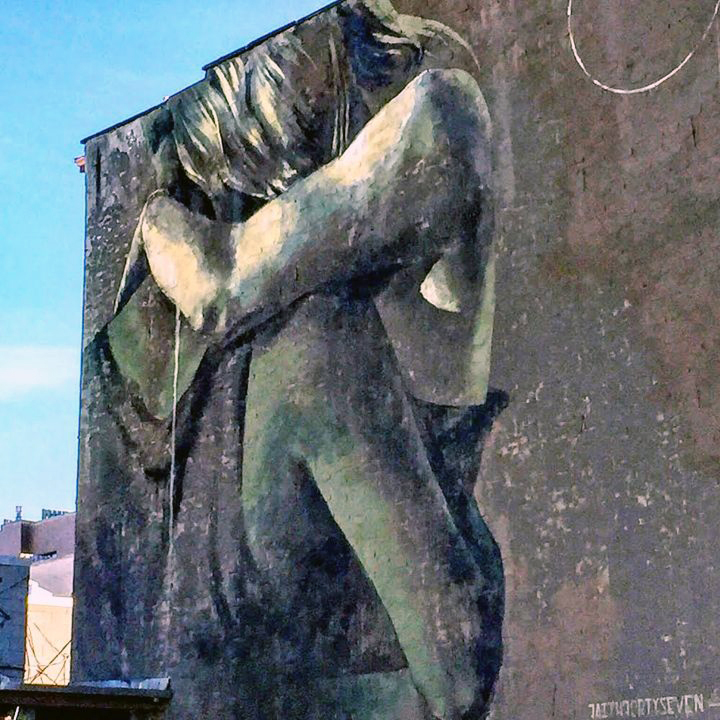 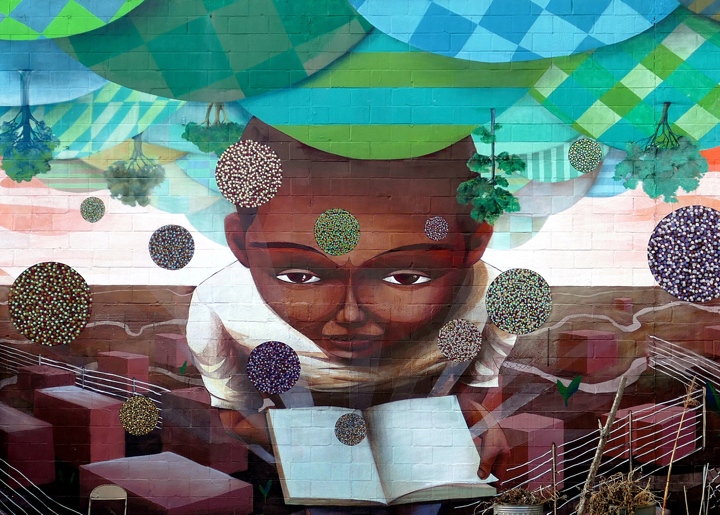 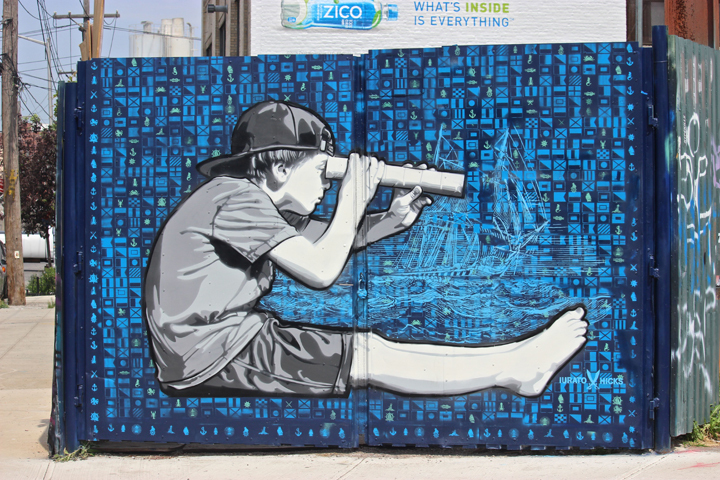 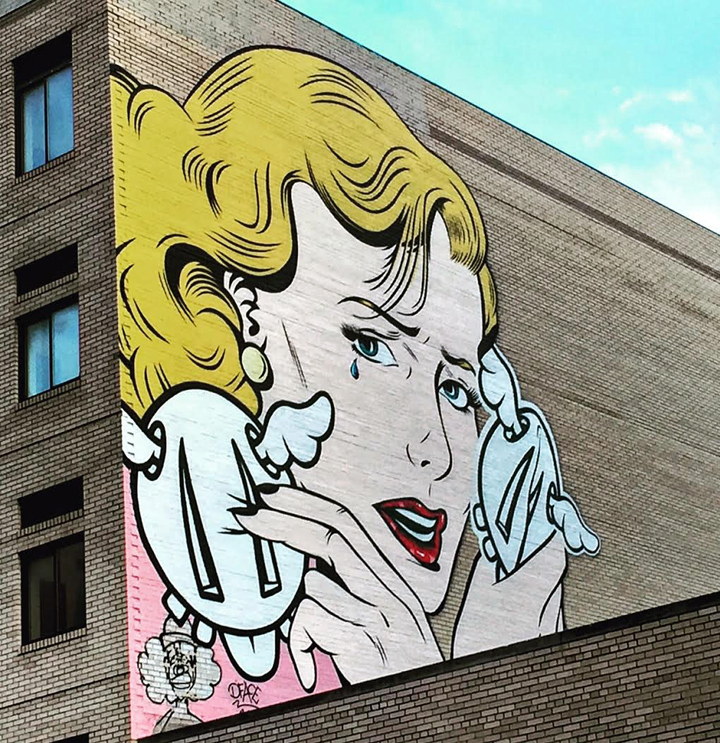 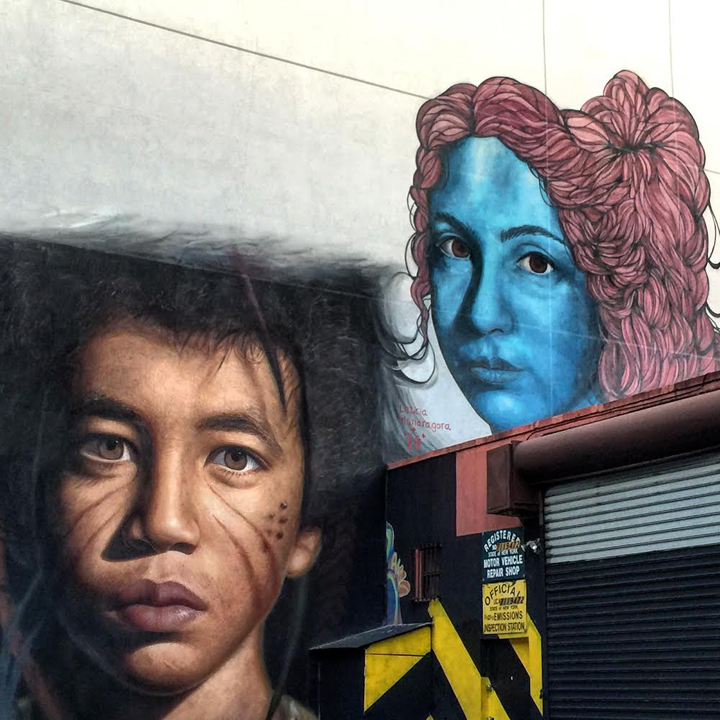 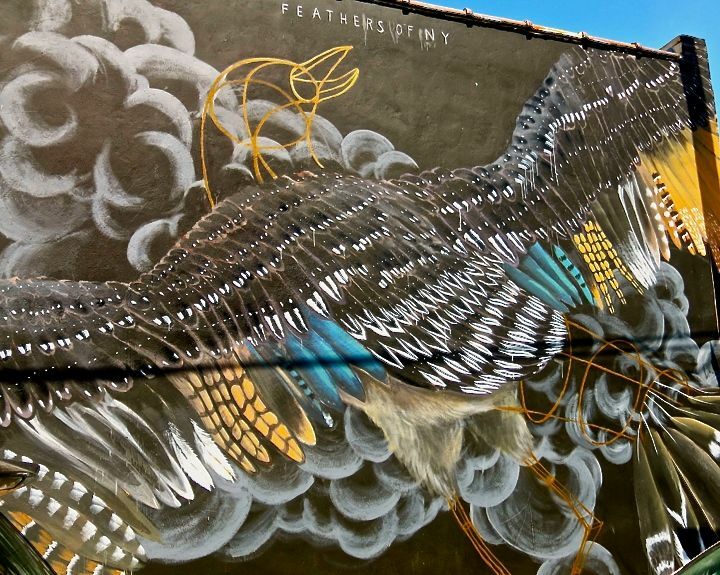 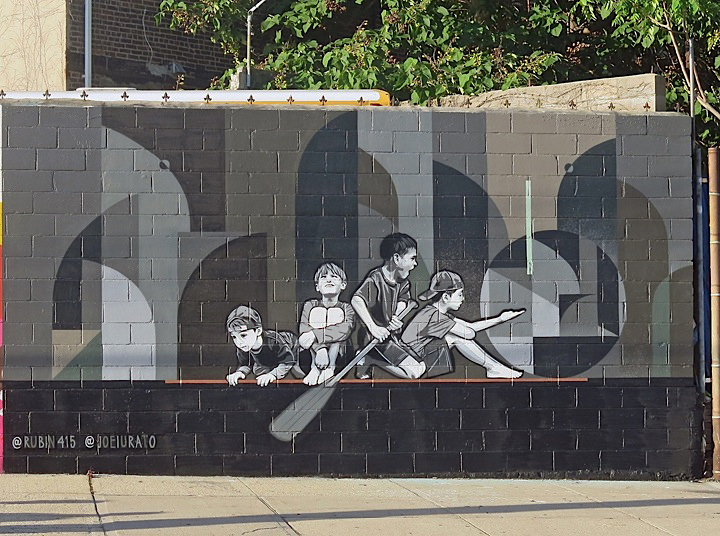 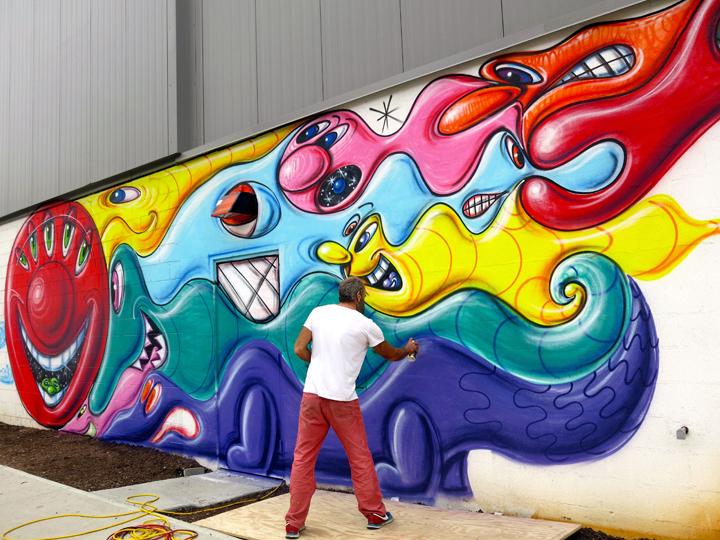 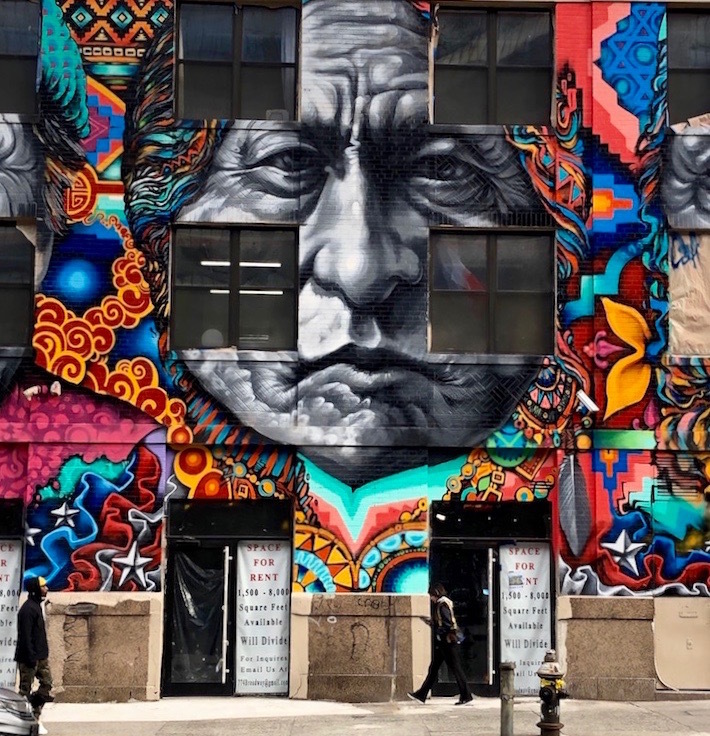 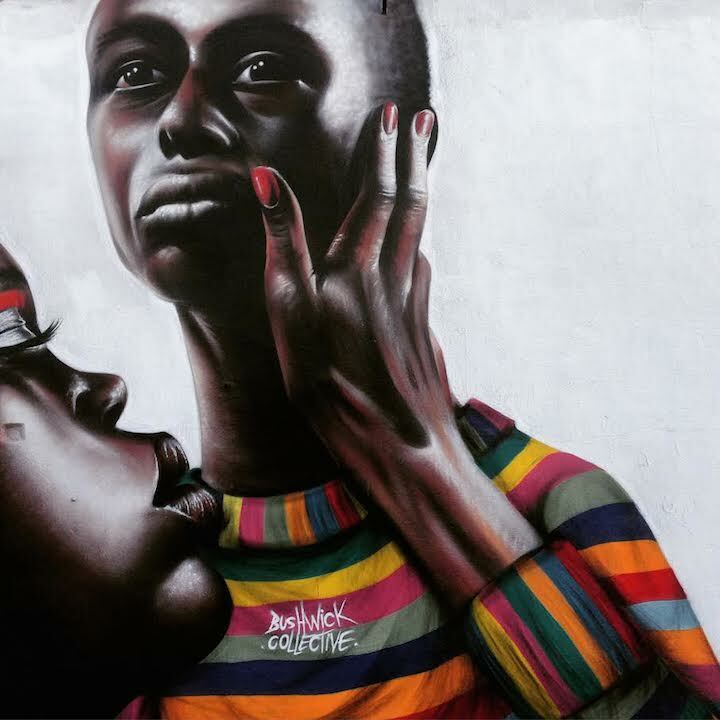 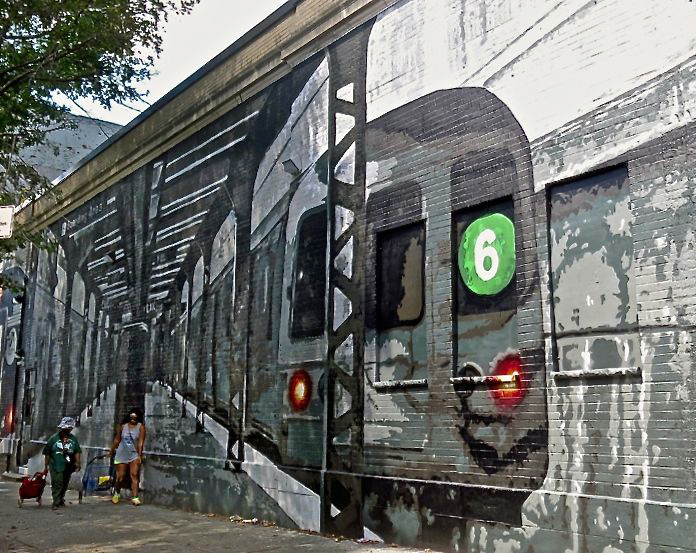 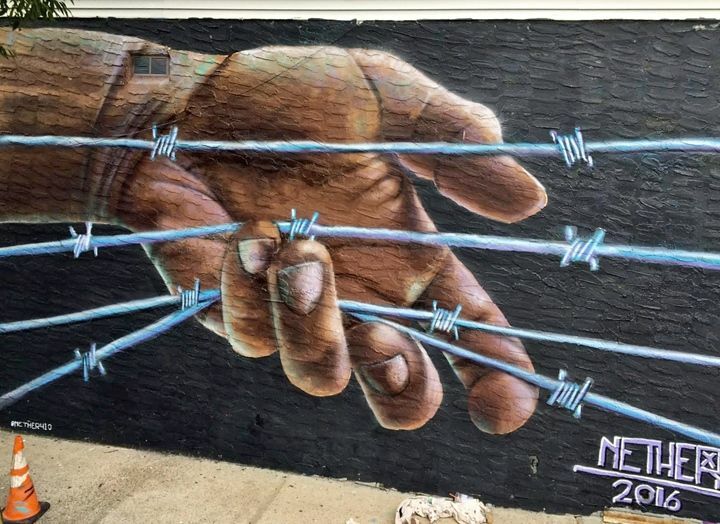 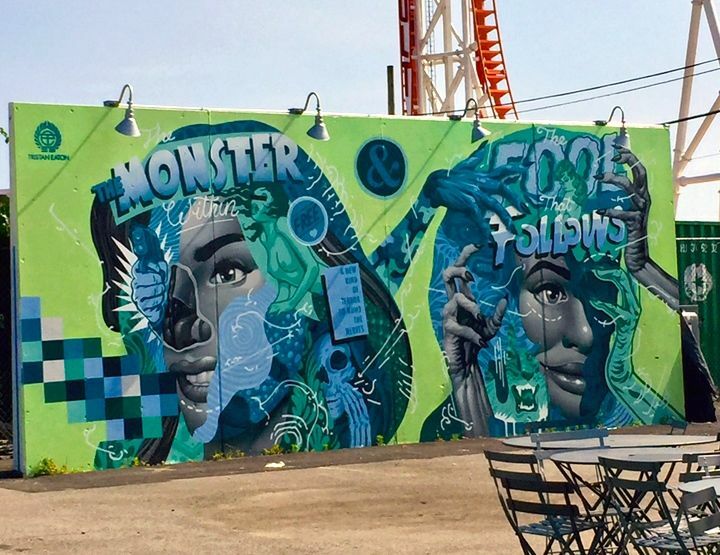 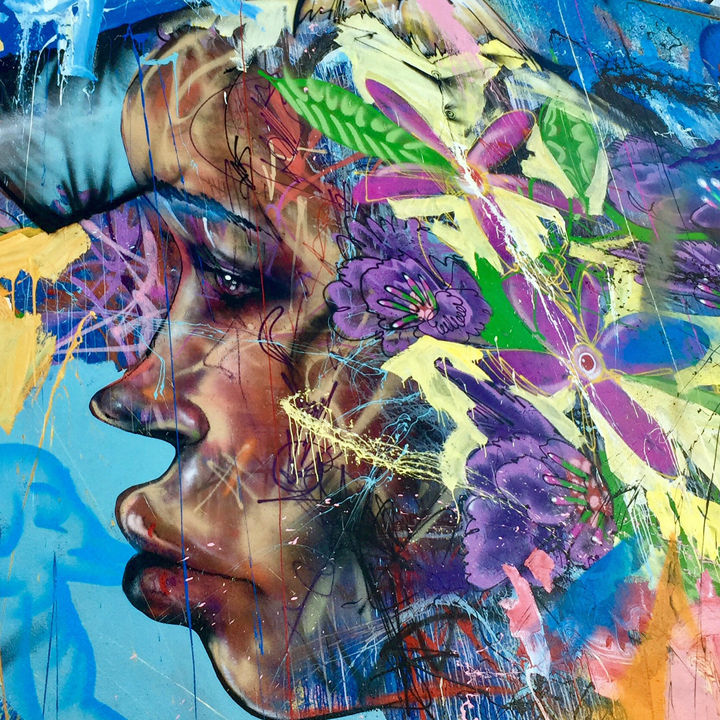 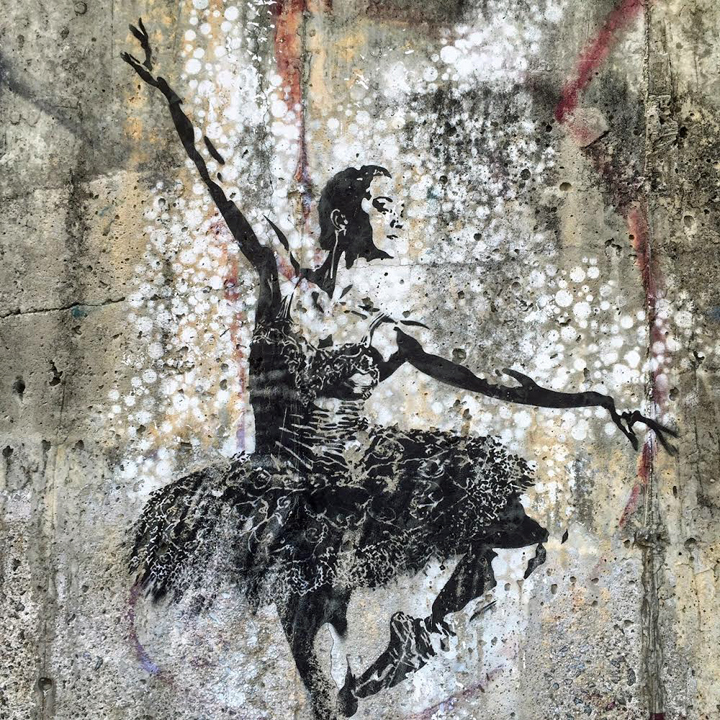 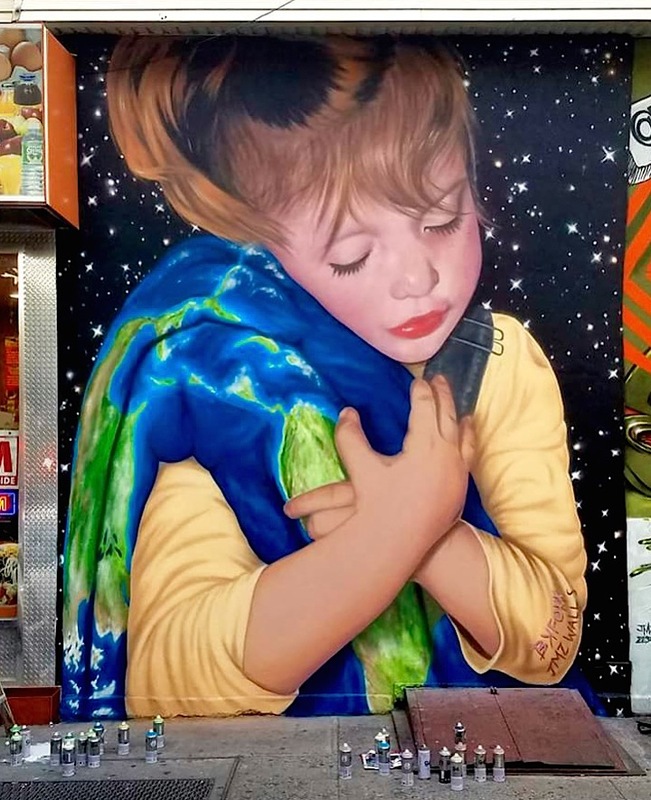 Produced by the Lower East Side Partnership, the project has been connecting artists with LES businesses through original murals on roll down security gates since the summer of 2014. 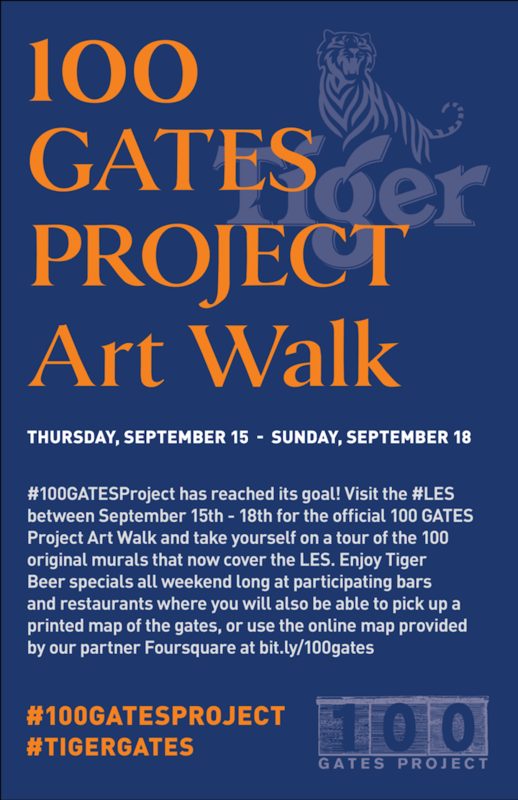 Beginning today, September 15 through Sunday the 18th, the 100 GATES Project – in coordination with Tiger Beer –invites us to come out for a self-guided walking tour of the gates while enjoying Tiger Beer specials. 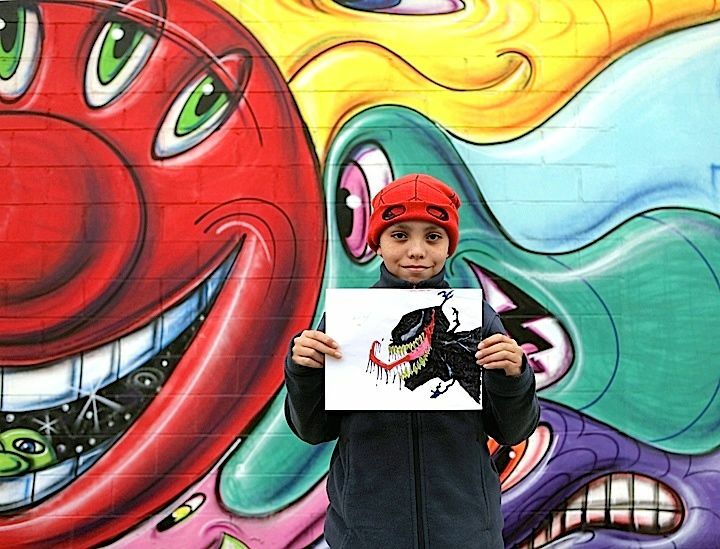 Pictured above is Lamour Supreme captured at work by travel and street photographer Karin du Maire. 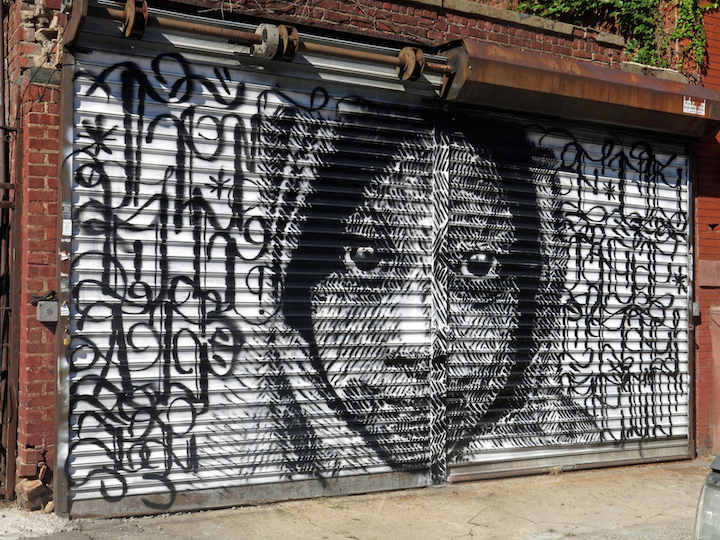 For specific information, images and a wonderfully comprehensive documentation of it all, check out 100 GATES Project. 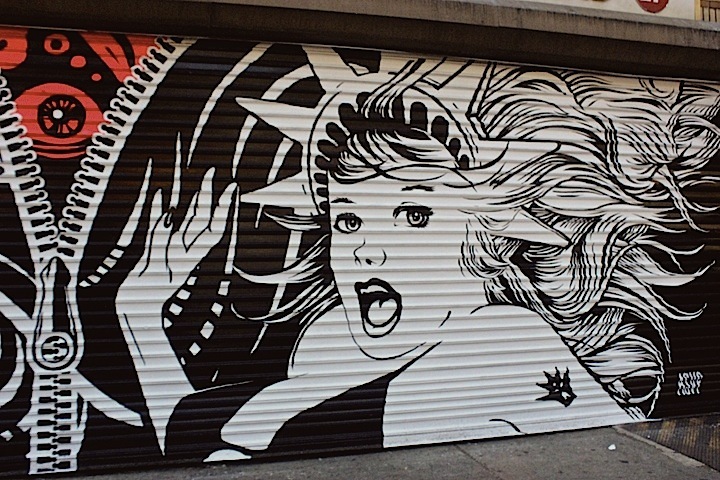 Note: This blog will be on vacation through July 8. 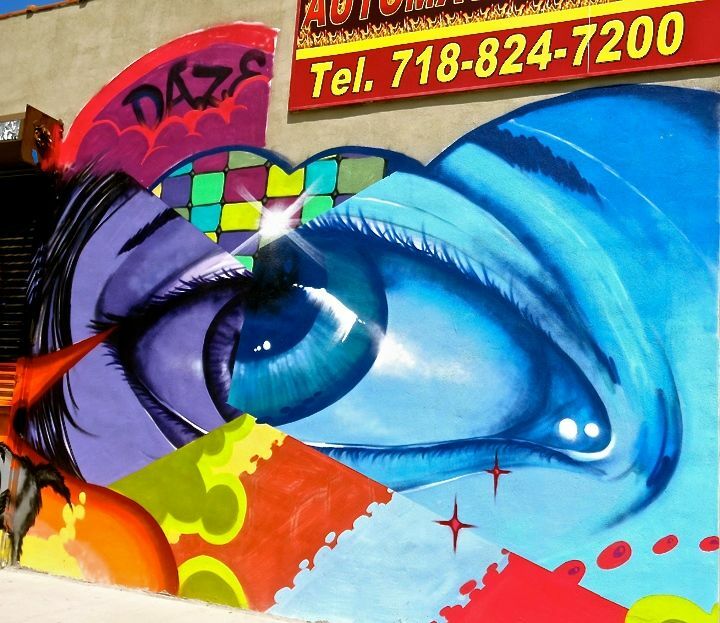 You can follow us on Facebook and on Instagram. 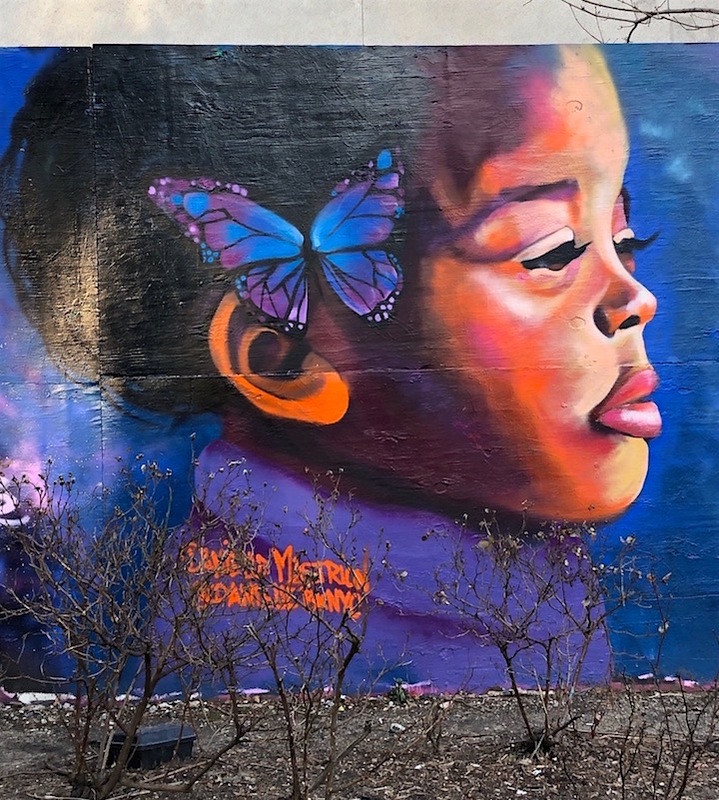 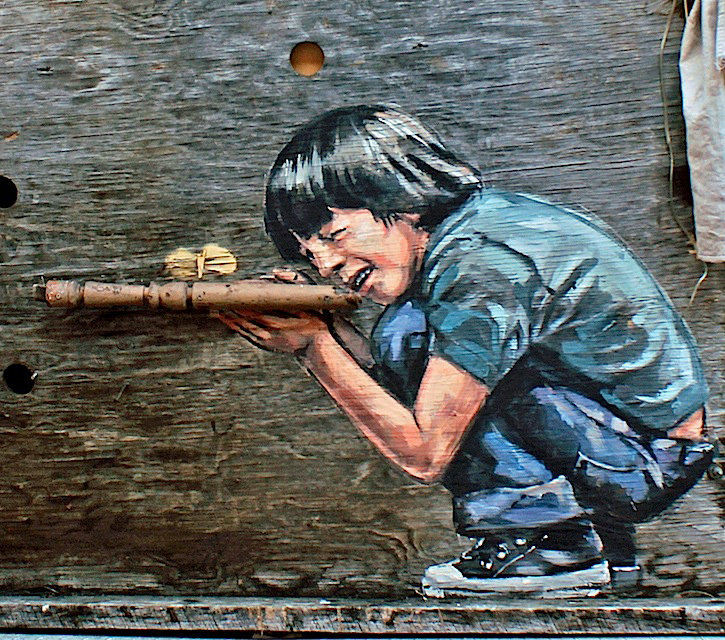 This is the tenth in a series of occasional posts featuring images of children that have surfaced on NYC public spaces.